The requirements for pressure tests are set forth in 49 CFR 180.407(g). All components of the CT wall must be pressure tested. “CT wall” means those parts of the CT that make up the primary lading retention structure, including shell, bulkheads, and fittings and, when closed, yield the minimum volume of the CT assembly.86 As part of the pressure test, the inspector must perform an external and internal visual inspection, except in the case of an MC 338 CT or a CT not equipped with a manhole or inspection opening for which an internal inspection is not required. All self-closing pressure relief valves, including emergency relief vents and normal vents, must be removed from the CT for inspection and testing. Open each self-closing pressure relief valve that is an emergency relief vent to the required set pressure and seat it to a leak-tight condition at 90 percent of the set-to-discharge pressure or the pressure prescribed for the applicable CT specification. Using the testing criteria established by the valve manufacturer, test the normal vents (1 psig vents). Replace all self-closing pressure relief devices not tested or failing the pressure tests. 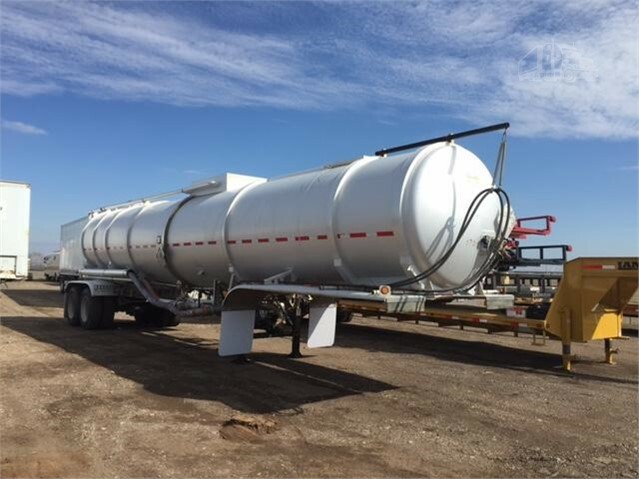 Except for CTs carrying lading corrosive to the tank, inspect areas covered by the upper coupler (i.e., fifth wheel) assembly for corroded and abraded areas, dents, distortions, defects in weld, and any other condition that might render the tank unsafe. Note: The upper coupler (i.e., fifth wheel) assembly must be removed from the CT for this inspection. Hydrostatically or pneumatically test the CT to the internal pressure specified in table 7. At no time during the pressure test may a CT be subject to pressures that exceed those identified in Table 7. 49 CFR 180.407(g)(1)(iv) internal test pressures for CT pressure tests. When testing multi-tank CTs, the tank must be tested with the adjacent CTs empty and at atmospheric pressure. All closures except pressure-relief devices must be in place during the test. All prescribed loading and unloading venting devices rated at less than test pressure may be removed during the test. If retained, the devices must be rendered inoperative by clamps, plugs, or other equally effective restraining devices. However, restraining devices may not prevent detection of leaks or damage the venting devices and must be removed immediately after the test is completed. When testing an insulated CT, the insulation and jacketing does not need to be removed unless it is otherwise impossible to reach test pressure and maintain a condition of pressure equilibrium after test pressure is reached or the vacuum integrity cannot be maintained in the insulation space. If an MC 338 CT used for the transportation of a flammable gas, oxygen, or refrigerated liquid is opened for any reason, the cleanliness must be verified prior to closure using the procedures contained in §178.338-15. Pressure testing is not required for MC 330 and MC 331 CTs in dedicated sodium metal service. Pressure testing is not required for uninsulated lined CTs with a design pressure or MAWP of 15 psig or less, which receive an external visual inspection and a lining inspection at least once a year. A CT with a heating system that does not hold pressure may remain in service as an unheated CT if both - The heating system remains in place and is structurally sound and no lading may leak into the heating system - and - The specification plate heating system information is changed to indicate that the CT has no working heating system. Results of the inspection must be recorded and include any defects discovered and steps taken to remedy the defect. The NTTC Users Manual (2004) offers helpful insight as to the pros and cons of both the hydrostatic and pneumatic test method. NTTC notes that the primary benefit of hydrostatic testing is that if a failure in the vessel or fittings occurs during the test, a very small loss of fluid returns the pressure to atmospheric pressure almost instantaneously, and the failure will not propagate. However, water is heavy and requires that a tank be adequately supported throughout the test process. Additionally, EPA requirements as well as any applicable local ordinances must be complied with when water is disposed. Pneumatic testing does not require the tank to be filled with water, and the pressure can be applied more quickly than hydrostatic testing. However, if a failure occurs during pneumatic testing, it takes a longer time for the pressure to dissipate through the failure, allowing the failure to propagate very quickly and perhaps catastrophically. Additionally, NTTC notes that a failure during pneumatic testing, in addition to damaging the vessel, can be dangerous to personnel who may be close to the failure while inspecting the vessel. The benefits of hydrostatic testing and added safety this method provides should be considered when test pressures are above 5 psi and the vessel is new, has had extensive weld repairs, or has not been subjected to pressure for a long period of time. Fill the CT, including tank domes, with water or other liquid having similar viscosity, at a temperature not exceeding 100°F. Pressurize the CT to not less than the pressure specified. See table 2 of 49 CFR 180.407(g)(1)(iv), Internal Test Pressures for Cargo Tank Pressure Tests. The CT, including its closures, must hold the prescribed test pressure for at least 10 minutes. While the tank is holding the test pressure, inspect the tank for leaks, bulging, or any other defects. Pneumatic testing may involve higher risk than hydrostatic testing. Therefore, suitable safeguards must be provided to protect personnel and facilities should failure occur during the test. Pressurize the CT using air or an inert gas. The pneumatic test pressure in the CT must be reached by gradually increasing the pressure to one-half the test pressure. Thereafter, the pressure must be increased in steps of approximately one-tenth of the test pressure until the required test pressure has been reached. Hold the pressure for at least 5 minutes. After 5 minutes, reduce the pressure to the MAWP, which must be maintained during the time the entire CT surface is inspected. Inspect the tank for leaks using a suitable method for the detection of leaks. A suitable method consists of coating the entire surface of all joints under pressure with a solution of soap and water or other equally sensitive methods. 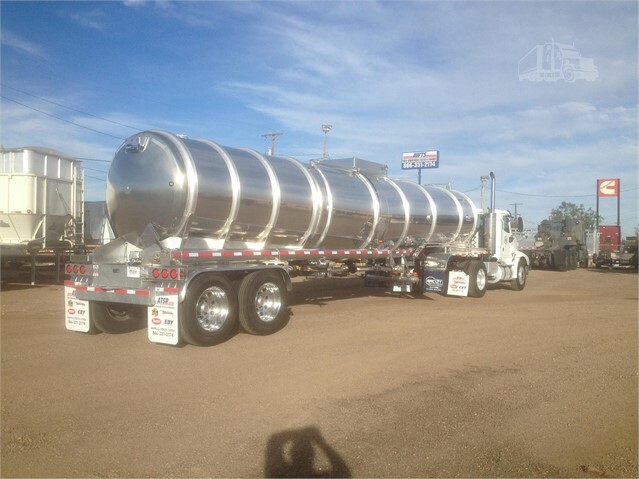 Each MC 330 and MC 331 CT constructed of quenched and tempered (QT) steel in accordance with Part UHT in Section VIII of the ASME Code, or constructed of other than quenched and tempered steel but without post-weld heat treatment, used for the transportation of anhydrous ammonia or any other hazardous material that may cause corrosion stress cracking, must be internally inspected by the wet fluorescent magnetic particle (WFMPT) method immediately prior to and in conjunction with the performance of the pressure test. 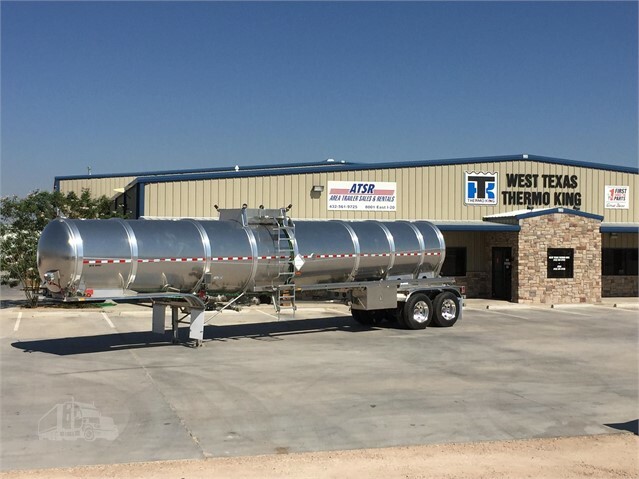 Each MC 330 and MC 331 CT constructed of QT steel in accordance with Part UHT in Section VIII of the ASME Code and used for the transportation of liquid petroleum gas must be internally inspected by the WFMPT method immediately prior to and in conjunction with the performance of the pressure test. The wet fluorescent particle inspection must be in accordance with Section V of the ASME Code and CGA Technical Bulletin P-26. This paragraph does not apply to CTs that do not have manholes.